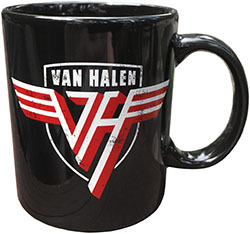 VAN HALEN RISING LIVE CHAT -- Sept. 30 with author GREG RENOFF! Thread: VAN HALEN RISING LIVE CHAT -- Sept. 30 with author GREG RENOFF! Should people post/queue up some questions here beforehand to get a smooth start? Or wait for a new thread on Wed? Maybe we'll start up the thread 30 minutes beforehand to get a smooth start. So yeah get them in your head. Or write your questions on a sticky note and slap them to your head if you think you might forget. **Edit** Turns out that I have tonight off work, so I'll be tuning in for the live chat w/Greg. Last edited by RRvh1; 09.30.15 at 11:48 AM. I plan on being on line for this! So, 9 p.m. eastern time? correct? 8 central is 9 Eastern, yep! ffoner - your username just clicked. Looking forward to the live chat tonight! It's live guys, Greg is already answering questions.